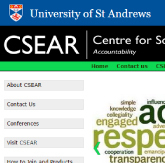 The Centre for Social and Environmental Research (CSEAR), based at the University of St-Andrews, Scotland, is an international membership-based network that aims to mobilize accounting scholarship to enable a more sustainable society. ENACTUS is an international community of student, academic and business leaders committed to using the power of entrepreneurial action to transform lives and shape a better more sustainable world. Guided by academic advisors and business experts, the student leaders of Enactus create and implement community empowerment projects around the globe. With over 130 students involved, The ENACTUS team at IÉSEG School of Management aims to improve the lives of those in need by developing viable, autonomous and sustainable entrepreneurship projects. 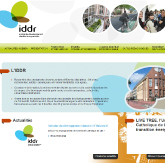 The Institute for Sustainable and Responsible Development (Institut du Développement Durable et Responsable) of the Catholic University of Lille coordinates the implementation of a responsible approach to sustainable development within the Catholic University of Lille, by promoting the emergence and implementation of transversal operations within 6 departments, 20 schools and the hospital group of the Catholic Institute of Lille. In addition, it brings together teachers and researchers from the Catholic University of Lille: ethicists, economists, lawyers, sociologists, environmentalists, ecologists, geographers and engineers. Led by HER seeks to encourage entrepreneurship by providing women in difficulty access to education and tools necessary for the success of their projects. Beyond the proposed training programs, Led by Her mentors help participants to build on their own skills and talents, identify and define their goals, and implement the action plans necessary to realize their entrepreneurial project. 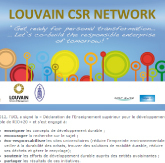 The Louvain School of Management at the Catholic University of Louvain, Louvain-la-Neuve, via its Louvain CSR Network, aims to support young women and young men as well as practitioners eager to place responsible leadership and sustainable production and consumption at the heart of their vision, their learning and their attitudes. Established in 2005, the Network for Business Sustainability is a powerful and growing network of international academic experts and business leaders. NBS produces authoritative resources on important sustainability issues – with the goal of shaping management practice and research. NBS connect thousands of researchers and professionals worldwide who are interested in corporate social responsibility (CSR) and who believe in the value of research-based practice and practice-based research. Politeia was founded in 1983 by a group of scholars with different backgrounds – economic, legal, philosophical and political studies – to promote the analysis of decision-making processes in complex and economically advanced societies. The goal of Politeia is to represent a critical interlocutor and scientific support for those sectors of Italian society who wish to promote the development of a public culture oriented towards efficiency, effectiveness and social equity. 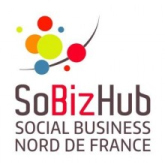 The multi-stakeholder platform SoBizHub (Social Business Hub) – created in 2014 – wants to contribute to the development of social innovation practices and initiatives at a regional level, in Nord/Pas-de-Calais. 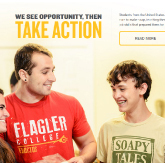 It aims to raise awareness and promote social innovation through events, conferences, meetings.